Kirk Gilfour is a Goosehead Agency Owner in Texas. He strives to help his clients get the best coverage at the best price by shopping the market with a wider base of A-rated carriers to fit their needs. 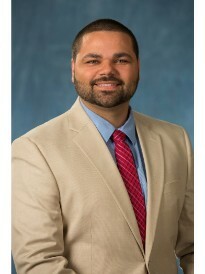 After graduating with his Bachelor's degree in Financial Services from Nicholls State University in 2008, he started his career as a Financial Advisor with JPMorgan Chase. Prior to partnering with Goosehead, Kirk, along with his wife and 4 boys, moved to Houston from Thibodeaux, Louisiana, to begin his career as a State Farm Agency Owner in Houston. In his spare time, he enjoys spending quality time with his wife and kids, keeping up with current events and anything to do with sports.